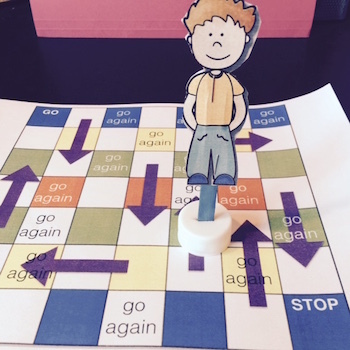 Many special ed teachers and SLPs don't know whee to start with their beginning communicators. And there is a definite lack of materials to use with them. 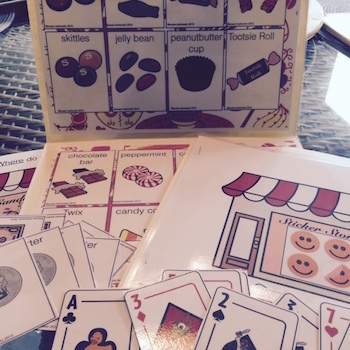 That's where my Core Words Books sets came in; providing books that illustrated core vocabulary for AAC users. I started with 6 Core Words, then added More Core Words, and 6 More Core Words. Then I looked at expanding language with 2-Word Core Word Phrases Books. 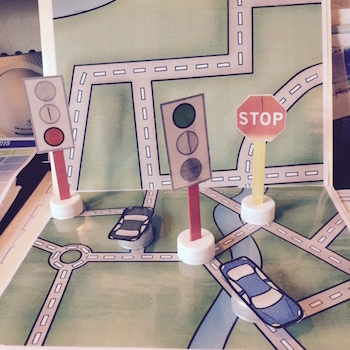 But there is still a lack of materials that provide actual practice in addition to real life communication of messages. 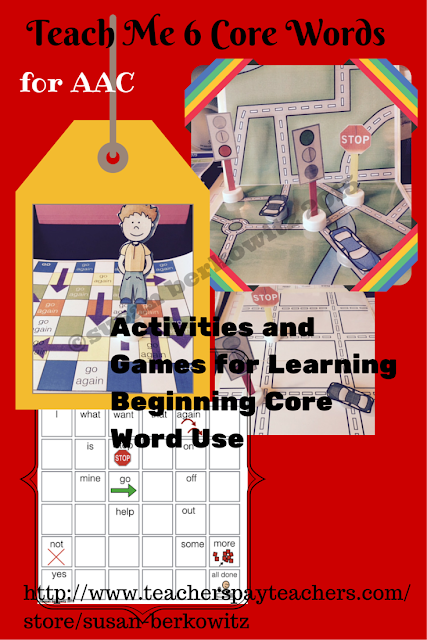 So this summer, in addition to the materials I created to go with A Year of Core Words (related to PrAACticalAAC blog's year of core); I've been working on activities and games to help teach the core words in my books. 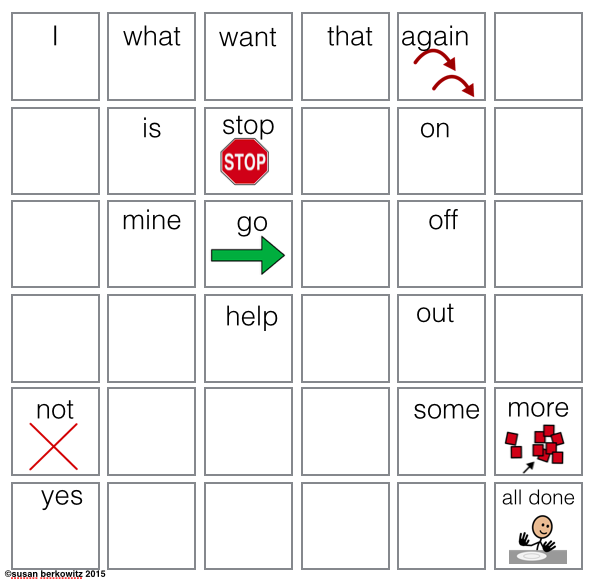 We all know that teaching vocabulary in context is important and necessary, but we also know parents do not want to give up those 1:1 therapy sessions. So what to do? 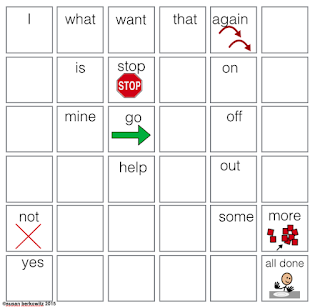 I have created some games and simulated contexts to teach AAC users core words. Hot of the presses are Teach Me Core Words and Teach Me More Core Words games and activity sets. I also bundled them together with the books here and here. You'll find game boards and card games. There is a play road map with cars and traffic signs, a candy & sticker store role play, a farm activity and a put-in-the-box activity for giving directions, and so much more. 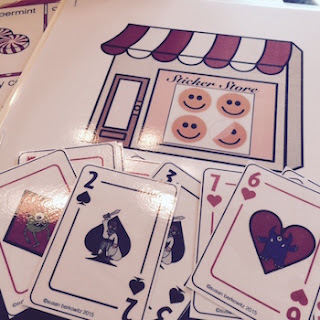 Get your nonverbal and minimally verbal kids communicating more this year!